Swimmo is unique in a sense that it is designed to help you not after the workout when you are analyzing the results but while you are in the pool. To do it we’ve prepared two different ways to give you real-time feedback – visual cues and real-time vibrations – both letting you know how you’re doing in the pool. There are three different features that help you in this way and here’s how they work and why is it a good idea to use them! Keeping an even pace during a swim is often the best way to improve and to win a competition. Controlling your pace allows you to put the perfect amount of stamina into different stages of the swim especially on long distance competitions. 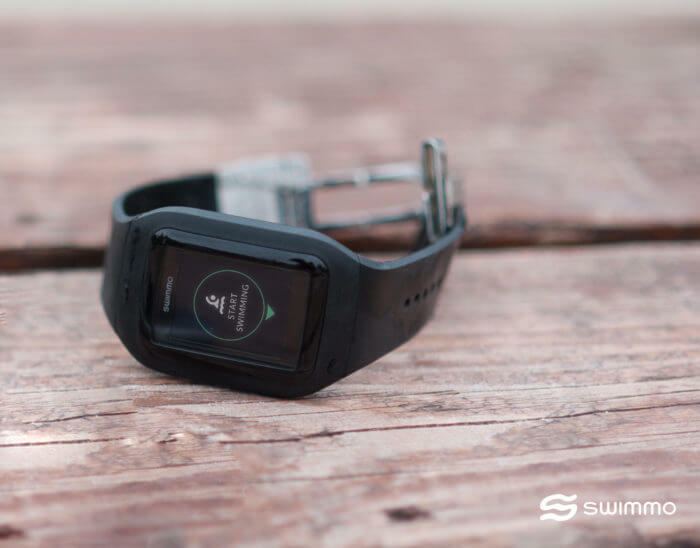 PaceKeeper allows you to plan your pace for the workout and be alerted on the screen and via vibrations when you need to speed up or slow down. Cardio training is the very efficient way to focus your body on developing the particular characteristic of your body. From fat burning to stamina and endurance and VO2 Max staying in the right heart rate zone is the perfect way to achieve these goals quickly and efficiently. IntencityCoach lets you choose the heart rate zone that’s right for you from a descriptive list or by setting a custom heart rate zone for advanced Swimmo users. While in the pool you are notified via vibrations and visual cues when you go out of the chosen zone and if you need to swim slower or faster. For improved motivation and good pacing during your workout, it is important to be aware of how far you are into achieving your workout goal. That is why we’ve designed TrainingGuide that will let you know via vibrations every time you complete 25, 50, 75 and 100% of your workout goal to keep you informed and motivated throughout the training session. How to choose swimming lesson? How to reduce the chlorine smell after swimming?